The name Mitsubishi Eclipse has long been associated with a sports car that first appeared in 1989. There have been many different forms of the Eclipse over the years. Small compacts, coupes and various engine configurations have all been produced under the Eclipse moniker. The 2019 Mitsubishi Eclipse Cross is something entirely different. This is a compact, crossover SUV with four doors and a hatchback. Mitsubishi first started using the Eclipse branding for their crossover vehicle in 2018. This year's Eclipse Cross is part of the first generation of this vehicle. The Eclipse Cross made its debut in 2018. Being this new to the automotive world, there aren't a lot of changes for the 2019 model. One new option is an accessory rail for the roof. Minor cosmetic changes occur here and there. The window-switch panels on the LE trim are now a glossy black. Other than those minor tweaks, this is the exact same vehicle as the previous model. The 2019 Mitsubishi Eclipse Cross is powered by a direct-injection, turbo-charged, 4-cylinder engine. This motor will be paired with Mitsubishi's Continuously Variable Transmission system. This is an 8-speed automatic system that switches smoothly and seamlessly through the available speeds. A sport mode will allow for top performance from the automatic shifting. The engine is peppy and provides great acceleration for a car in this class. It produces 152 hp and 184 lb-ft of torque. One of the reasons crossovers have become so popular is due to the extra seats. They provide more room for passengers without the added bulk of a full-size SUV. The Eclipse Cross can comfortably seat up to five average-sized adults. The legroom in the rear seats is better than most small crossovers. The headroom provided in the front is also more than what you typically find in compact crossovers. The 2019 Mitsubishi Eclipse Cross provides a good amount of cargo space. If you have a lot of passengers to haul around, it's a safe bet that you'll also have a lot of stuff to haul around with them. Whether it's groceries, sports equipment or camping gear, there's plenty of room here. You get 22.6 ft³ of space with all of the seats in use. With the rear seats let down, you get up to 48.9 ft³ of cargo space. Mitsubishi provides a lot of small-item storage areas too. The Mitsubishi Eclipse Cross offers all-wheel drive. This makes it a safe vehicle to drive in all weather conditions. You always get good traction in wet or snowy weather. This is thanks to Mitsubishi's Super All-Wheel Control system that channels power to whichever wheel needs it the most. This also means that the Eclipse Cross can do some light-to-moderate off-roading duties. It's not exactly a rock crawler, but you can certainly take it off of the beaten paths if you need to. It's a great vehicle for camping or fishing trips. The 2019 Mitsubishi Eclipse Cross offers an interior that is surprisingly nice at its price point. This is not an expensive vehicle, but you would never know it while inside of one. The dashboard and infotainment layouts are attractive and well designed. Everything is within easy reach of the driver. All of the materials are solid and the tolerances are tight where the different parts meet. The seats are supportive and very comfortable, especially in the front row. You can opt to have heated seats at every position. The Eclipse Cross has a powerful turbocharged motor, but it only sips on fuel. This compact crossover offers really good fuel economy. You can expect to get around 26 mpg while driving in the city. On the highway, you should get up to 29 mpg. This vehicle is a great choice if you need plenty of cargo and passenger room but don't want to spend a lot at the gas pump. The 2019 Mitsubishi Eclipse Cross does really well in crash tests. The 2019 model has not yet been tested, though it's the exact same vehicle as the 2018 version. The Insurance Institute of Highway Safety does crash tests from various angles. They give the 2018 Eclipse Cross a "Good," rating for all of the tests they've performed. The Eclipse Cross offers a lot of safety features to keep you and your loved ones protected. Best of all, most of them come standard on all models. You get Traction Control Logic to help when driving on slick roads or over rough terrain. A Rear Cross Traffic Alert, Blind Sport Warning and Lane Change Assist keep you aware of your surroundings. Forward Collision Mitigation and Lane Departure warning systems are optional. The 2019 Mitsubishi Eclipse Cross offers an excellent infotainment system. What's even better is that it's easy to use. Infotainment systems have become increasingly more common in modern vehicles. Consumers expect them to offer high-tech features for fun and convenience. The problem is, many have become bloated and confusing to use. Not so for the system in the Eclipse Cross. It's simple and intuitive. A large, clear touchscreen comes standard on all models. It also features connectivity for you smartphone and other devices. Mitsubishi has a good reputation for building reliable cars. The 2018 Eclipse Cross scored well in durability and reliability studies. 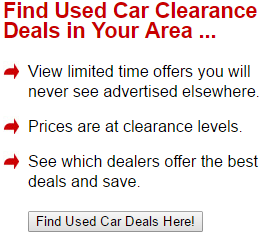 If something should happen to your newer vehicle, you'll be happy to know that Mitsubishi stands by their products. They offer one of the best warranties in the industry. You get coverage for up to ten years. The 2019 Mitsubishi Eclipse Cross has great performance from its engine. Steering and handling are just okay. Unfortunately, this isn't the vehicle you want to make sharp, quick turns in. There's some sway and difficulty in taking those curves in the road. The Eclipse Cross has a comfortable interior to ride in. Unfortunately, the ride quality isn't the best in class. You may experience some vibrations at fast, highway speeds. You will feel most of the bumps in the road too. This crossover has kind of a stiff suspension system. One of the best things about the 2019 Mitsubishi Eclipse Cross is it's price. It's a very affordable vehicle when compared to the competition. 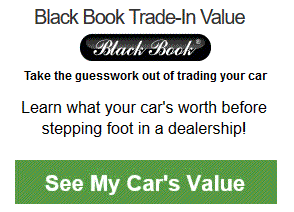 This can change quickly, however, when you start moving up the ladder of trim levels. At the top tiers, there isn't much of a difference in price between the Mitsubishi and some luxury models with even more features. Crossover vehicles are all the rage with U.S. drivers. The Mitsubishi Eclipse Cross faces some stiff competition from a crowded field. Three of its top competitors are the Honda Pilot, the Kia Sportage and the Mazda CX-5. All three vehicles have a lot to offer. The Honda offers a smoother ride and is one of the most reliable vehicles on the road. The Kia Sportage is cheaper, but is a bare-bones vehicle that lacks the number of features you can get from the Mitsubishi. The Mazda CX-5 offers slightly better fuel economy. Where the Mitsubishi beats all three is in its overall value. Though there are points in which the competition fares better, it's never by a large margin. The Eclipse Cross is comparable to all three competitors in every category. It wins out when it comes to the base price and the number of standard features you can get from the base model. Higher trim levels may start to get pricey, but the base model is feature packed already. All models of the Eclipse Cross share the same powertrain, so moving up to a better trim does little for the performance. It's all about the extra luxury, convenience and safety options. Buying a base model of the Eclipse Cross is simply a better value than almost anything else in its class. 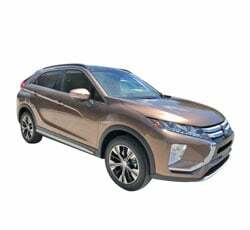 The 2019 Mitsubishi Eclipse Cross is a great compact, crossover SUV. It does everything you could want a crossover to do. It has tons of room for your cargo. It comfortably seats up to five people. It can even venture off the paved roads for some fun. The acceleration is impressive, and you get excellent fuel economy for this class of vehicle. The Eclipse Cross gives you solid, reliable transportation at a great price. If you're in the market for a crossover, you should certainly consider the Mitsubishi Eclipse Cross.